Director of the Remote Sensing Research Centre at the School of Earth and Environmental Sciences at The University of Queensland and Director of the Joint Remote Sensing Research Program. Professor Phinn’s research interests include the use of satellite and airborne images to map, monitor and model biophysical properties of terrestrial and aquatic environments for scientific and management applications. Professor David Antoine heads the Remote Sensing and Satellite Research Group at Curtin University, Perth, Western Australia. He is also a senior research scientist at the Marine Optics and Remote Sensing group of the Laboratoire d’Océanographie de Villefranche in France. His research interests include marine optics, bio-optics, radiative transfer and applications, and satellite ocean colour remote sensing, including atmospheric corrections and modelling of oceanic primary production from satellite ocean colour. Arnold Dekker expertise is using earth observation (EO) for aquatic ecosystems from inland waters to estuaries, coastal waters, coral reefs and oceans. At CSIRO till 2017 he coordinated innovation across all areas of Earth observation using SAR, LIDAR, VIS, NIR, MIR, TIR etc. His many national and international positions enabling him to enhance Australia’s international reputation, ensuring access to international space agency satellite data; influencing global science and being a trusted advisor. He has initiated and established many innovations and collaborations. Arnold Dekker was a key initiator of the Australian Copernicus Sentinel DataHub. He is founder and Director of SatDek Pt, Ltd.
Agnes Lane heads the Requirements and Analysis team in the Data Program at the Bureau of Meteorology. She focuses on satellite observations requirements for the Bureau's weather, climate, water, and space weather services. She also leads a World Meteorological Organisation (WMO) team that engages with countries in Asia-Oceania to identify their priority needs for satellite observations and training. As a STEM Ambassador in the Bureau, Agnes has a particular interest in outreach activities that promote STEM in schools. Stefan is a graduated engineer in Applied Physics (Fachhochschule Isny, 1993) and has been awarded the degree of Doctor of Engineering from the Technical University Munich in 2000. Stefan held Research Associate (1996-1999) and Post-Doctoral (2000-2002) positions at the German Aerospace Center (DLR), Oberpfaffenhofen. From 2002-2007 he worked at Satellite Remote Sensing Services, Western Australian Land Information Authority, initially as Senior Research Officer and later as Manager. In 2007 Stefan took up a position as Principal Research Fellow - Remote Sensing at Charles Darwin University, Darwin. In early 2015 he founded Maitec. Professor Graciela Metternicht (University of New South Wales, Sydney) works in the fields of earth observation science and environmental geography. She has a special interest in applications of geospatial technologies for environmental management and sustainability. Graciela’s past appointments include Regional Coordinator of Early Warning and Assessment of the UN Environment Programme (UNEP), Professor of Geospatial Systems and Environmental Management (UniSA); Professor of Spatial Sciences (Curtin University). She is Deputy Chair of the Australian Academy of Sciences Committee of Geographical Sciences; and member of Future Earth’s Global Land Programme Scientific Steering Committee. Cindy Ong has 20+ years of experience in remote sensing predominately focussed on imaging spectroscopy and applications related to environmental monitoring in the minerals industry. Currently, Cindy’s prime research focus is on quantification and monitoring of methane and other environmental impacts related to the onshore gas industry and optical calibration and validation. Cindy serves on several international working groups and science advisory teams including: Vice Chair for Committee on Earth Observation Satellites Working Group on Calibration and Validation, chair of IEEE Geoscience Remote Sensing Society Geoscience Spaceborne Imaging Spectroscopy Technical Committee, member of science advisory group for Germany’s imaging spectroscopy satellite mission, EnMAP and, Hyperspectral Imaging Mission Expert Group for a proposed hyperspectral imaging satellite, Copernicus Hyperspectral Imaging Mission (CHIME) and member of GEO Energy and Minerals Societal Benefit Area. Dr Amy Parker is an early career researcher based in the School of Earth and Planetary Sciences at Curtin University, Perth, Western Australia. She specialises in the use of satellite radar imagery (InSAR/SAR) to monitor, measure, and understand natural and man-made hazards. Her research has included the 2010 M 7 Haiti earthquake, atmospheric corrections of InSAR data, the Cascades Volcanic Arc, volcano monitoring in Papua New Guinea, and urban subsidence in Australian cities caused by groundwater extraction. Andrew Skidmore is Professor at ITC, the University of Twente, including 18 years as Chairman of the Department of Natural Resources. He is also Professor in Spatial Information Science at the Department of Environmental Science, Macquarie University. His interest in research relates to biodiversity and vegetation monitoring using hyperspectral and LiDAR remote sensing. His career includes 12 years employment in the forest industry. 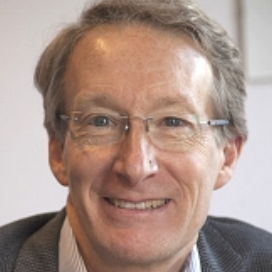 He is currently the Remote Sensing Task Force Lead for Group on Earth Observation Biodiversity Observation Network (GEOBON), member of the Science Advisory Committee for the European Space Agency hyperspectral CHIME satellite, as well as on the organizing committee of IGARSS 2021 conference. Dr Adam Steer takes a leading role in geospatial research and development for Synthesis Technologies Pty Ltd. A field scientist specialising in Antarctic sea ice by trade, Adam used Airborne LiDAR, photogrammetry, field observations and multibeam sonar from under-ice robots to investigate the thickness distribution of sea ice; one of Earth’s great remaining unsolved mysteries. Managing all this data led to prototyping new web-based services for on-demand data products from point clouds at the National Computational Infrastructure; and into his current work on managing and democratising massive 3D datasets. Adam is a keen advocate of open source software and open data–enabling innovation by collaboration. Dr Wendy Thompson has a background in plant ecology, with particular research interests in patterns of plant diversity in the arid zone; threatened species conservation and management; and developing robust monitoring protocols for the rangelands. She currently works for state government in Western Australia specialising in policy and governance in areas such as land management and monitoring; legislative/policy reform; and earth observations, with a keen interest in bridging the gap between science and policy.